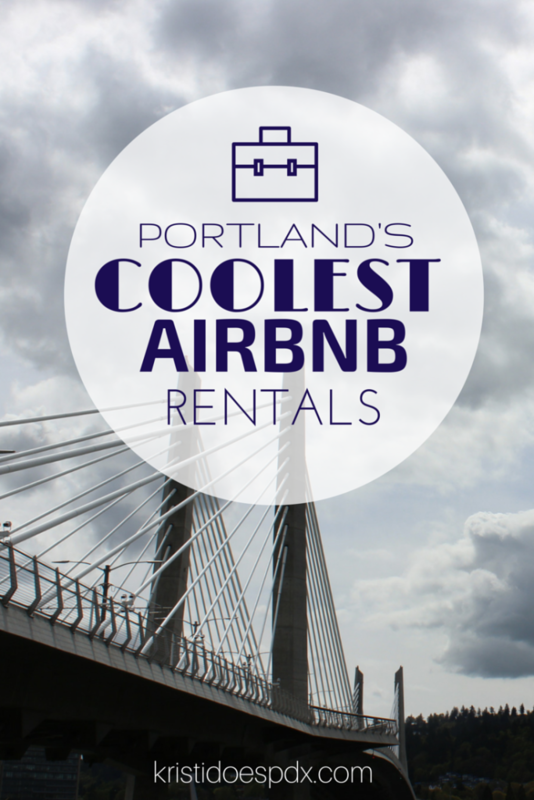 Portland is more than Powell’s Books and VooDoo Donuts, here’s some other awesome stuff. I love Portland and I want you to love it too. I’ve lived here my entire life and still find new places to explore all the time. The mountains and the beach are just 90 minutes away, and the beautiful Columbia River Gorge is just 30 minutes, not to mention the treasure in the city. Everyone already knows about Powell’s Books, Multnomah Falls, the Rose Garden and Voodoo Donuts, so here are 25 OTHER awesome things to do. See a show at the Crystal Ballroom: An old-fashioned 100-year old ballroom that attracts huge national names and is known for it’s “floating dance floor”. Hike the 4T Trail: The four “t”s stand for train, trail, tram and trolley. This is a really fun way to see the city. Start in downtown, take the train to the zoo, then follow the signs on a hike through the west hills to OHSU, where you take the tram to the bottom and the trolley back to where you started. Eat at a John Gorham restaurant: Toro Bravo is my favorite restaurant in Portland but his other restaurants are close behind. Between Toro, Tasty N’ Sons, Tasty N’ Alder and Mediterranean Exploration Company (Plus a few more opening in 2016)you could eat your way through a weekend. Just beware of long lines. Visit the Smallest Park in the World: In the middle of SW Naito Parkway at SW Taylor. Drink a Spanish Coffee At Hubers: Stop in at Portland’s oldest restaurant for Happy Hour. They have an elegant, old fashioned bar with a fantastic menu and they serve Spanish Coffee flaming tableside. You get a drink and a show for $10. Visit Edgefield or the Kennedy School: Both properties owned by the McMenamin’s “empire” a company so deeply engrained in Portland culture it’s hard to avoid. They are known for renovating old properties and turning them into hotels, brewpubs and concert venues, but in recent years have taken some slack for their food. Kennedy School is an old elementary school converted into a hotel that included a few bars, restaurant, soaking pool, and a movie theater. Edgefield is outside of Portland in the town of Troutdale. It’s a brewpub resort, with a pitch n’ putt golf course, restaurants, bars, movie theater, concert venue, spa, hotel and beautiful gardens. Run or walk the Waterfront Loop: If you need some exercise, walk or run the waterfront loop. It’s just less than 3 miles to complete the loop between the Hawthorne and Steel Bridges. The view and trail is best from the east side of the river. Have dessert and coffee the mysterious Rimsky Korsokoffee House: An original “Keep Portland Weird” coffee shop. Hidden away in an unmarked home in southeast Portland, it’s open nightly for dessert and coffee. They have live classical music and surprises around every corner. Hike to the top of Mt. Tabor: A dormant volcano in the middle of the city that’s turned into a beautiful park with playgrounds, a dog park, basketball courts, trails and a few reservoirs. Great views of the city. Play games at Ground Kontrol: Spend an evening playing games in a popular 80’s arcade in Old Town. They serve beer, cocktails and a menu of bar snacks. Check their website for free nights. Happy Hour with a view at Departure or Portland City Grill: Two fancy downtown restaurants with high-class views. Departure has a beautiful rooftop patio overlooking Pioneer Courthouse Square. Portland City Grill has views of the river. Be ready to fight for a great seat. See a movie at the Laurelhurst Theater: Or one of the many other pub theaters around town. They show second run and classic movies that you can enjoy with a pitcher of beer and slices of pizza. Drink a boot at Prost: Prost is a German Pub on N Mississippi that serves classic German beers and sausages, but their parking lot is full of food carts. You’re welcome to bring the food into Prost to enjoy with the beer. Eat Pok Pok’s Famous Wings: Everyone goes crazy for these things. You can get them at all three Pok Pok locations. OMSI: The Oregon Museum of Science and Industry. A must-visit if you have kids, they have great exhibits, a planetarium, IMAX and a submarine. If you don’t have kids, watch for OMSI After Dark where you can see the museum sans kids with a microbrew in hand. Visit the “Space Ship” on Sauvie Island: You’ll find it hidden away on Collin’s Beach at the end of Reeder Road. If you visit in the summer be ready to see some skin, this section is clothing optional! Drink Beer: Why is this one so low on the list? The big breweries like Widmer, Deschutes, and Rogue have big brewpubs around town, but I suggest exploring some of the smaller operations on the Eastside, like Hair of the Dog, Base Camp, Cascade, Breakside, Gigantic, or Lompoc to name just a few. Do a Portland Hill Walk: My favorite Portland guidebook, a series of 20 walks through Portland parks and neighborhoods. You’ll discover hidden staircases, secret trails and learn a lot about the history of the city. Visit Timberline Lodge: Whether you’re hiking in the summer or snowboarding in the winter, there’s always something to do on Mt. Hood, but don’t miss Timberline Lodge. Built during the Great Depression as a WPA project, the lodge is handcrafted. You really need to go inside to see the beautiful wood and stone work. Stay the night if you have the extra cash, or just stop in for a hot chocolate. Check out Mt. St. Helens: How often do you get to visit an active volcano? You can either visit the north side of the mountain to see the blast zone from the 1980 eruption, or spend time exploring the south side on one of the many hiking trails or Ape Cave. Root for the Timbers: The Timbers are Portland’s Major League Soccer team and their fans are CRAZY. Make sure you get tickets in the Timber’s Army section. Wait in line for brunch: Few restaurants in Portland, especially for brunch, take reservations so the only way to get in, is to wait it out. Tin Shed, Screen Door, Juniors, Gravy and Tasty N’ Sons are just a few suggestions. Shop! : Oregon has no sales tax, so go crazy! My favorite streets for shopping are NW 23rd & SE Hawthorne. Drink Coffee: Stumptown Coffee may be Portland’s most famous roaster, but there are lots to chose from. My favorite is Ristretto Roasters, But Coava and Heart are great too. Plus, they all have beautiful coffee shops, where you can join crowds tapping away on their Macs. These are also great places to enjoy a rainy day. Multnomah Whiskey Library: A relatively new bar that feels very old. Perfectly crafted cocktails and great food in a very cool environment. There are often lines, so try going during off hours. This is by no means a complete list, but it’s a good start. What are your favorite things? Did I forget something? Let me know what you think. Thanks for such a great list and beautifully done web design. Very easy to navigate. I’v lived in Vancouver from my childhood – left to go to the east coast for ten year s. Now I am back living in Kelso. I’m a photographer so it’s great to have an itinerary to start discovering all the cool stuff that’s in my own backyard- thanks so much! Tried the wings at POK POK. Meh. Did not live up to the hype. Thanks for reading Barbara! It’s funny you say that. I don’t like fish sauce so they are not my favorite anyway, but it’s interesting to hear that others agree. this is a great list of things to do! Some of them I didn’t have the chance to do while I was living there, but since I’m moving back in august (can not wait!) 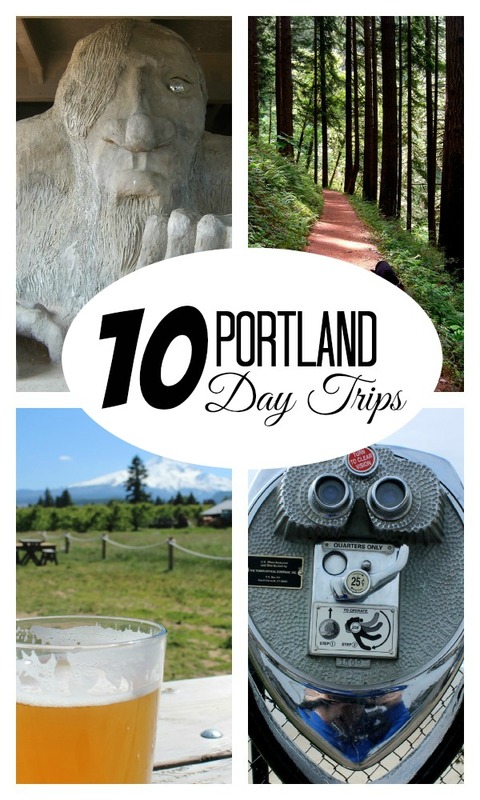 I must get around to visiting Sauvie Island and Mt Tabor hike among many other things. this is an awesome list, I especially love tasty + sons and that 4t hike! I am actually looking for a Portland-y gift for a friend, do you have any recommendations of things people love that you can only get in pdx?! I am saving this awesome list for our visit in late October,2016. Hoping the weather will be nice and and not too cold. Traveling with elderly husband who has limited walking abilities — can walk but needs to be able to sit and rest quite a bit between bouts of walking. Any suggestions for in-town sightseeing other than the various gardens and art museum? We’re definitely going to do the Saturday Market, visit Powells, stroll Alberta Avenue, things like that. Portland Hill Walks Book is a terrific recommendation. I have walked them all and now have a stronger connection to Portland. I have seen much more than I would ever expect to. Riverview Cemetary was one of my favorite places found on a hike! Great list! 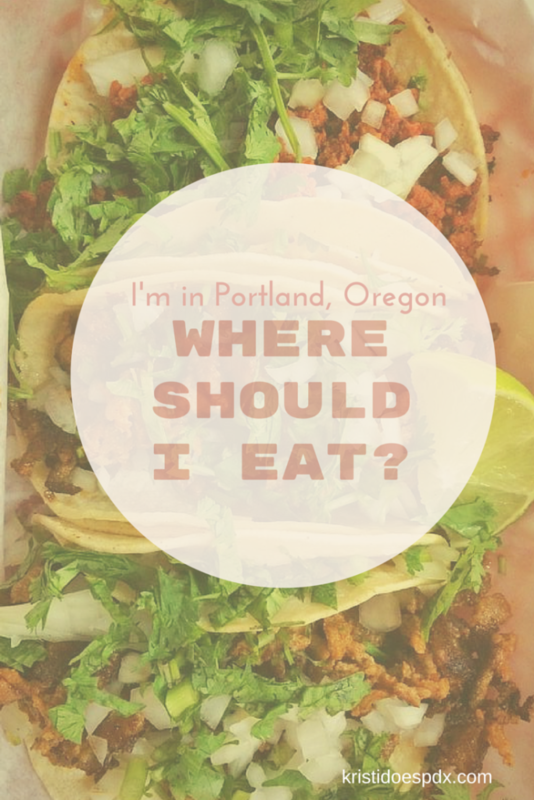 I am coming to Portland at the end of the month and need suggestions. 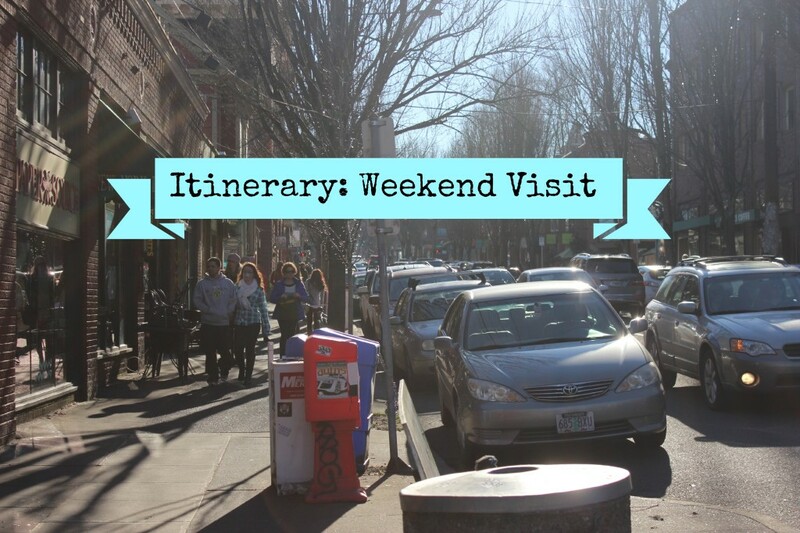 My first trip to Oregon and I will be alone so making an itinerary that is all about me! Hi Marti! I’m so glad you liked Portland Hill Walks. It is really amazing where she takes you and how much you can learn. Her City Walks Book is great too if you want more. Kristi, I appreciate your list but aren’t there other things to do in Portland (or adjacent) BESIDES eat, drink and hike? I’m a 30’s something craving a place where I can be a kid again without being inundated BY kids. Is Dave & Busters it? Where are the adult themed water parks? I know PDX isn’t THAT boring, but lately it’s just been Powell’s, movie, food cart, hike. You forgot going to a Portland Thorns game!